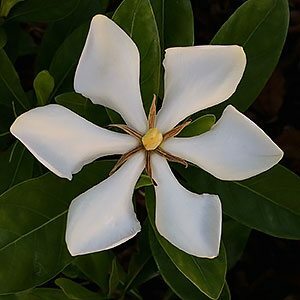 Although their is some confusion about the name, their is no mistaking the beauty of what is often called Gardenia vietnamensis. With single petals, Gardenia (Kailarsenia) vietnamensis is one of the more interesting species in terms of flower form. The individual petals are long and distinctly divided. The flowers are large, to nearly 6 centimetres (3 inches) across, the petals are narrow and the flower itself has a sweet fragrance, . This is a compact variety the foliage broad and glossy. The plant reaching around 1 metre in height. The flowers opening a good white before fading to a creamy yellow. This is one of the best varieties for tropical to sub tropical areas as it tolerates both damp soil and seasonal dryish conditions. A humus rich soil that retains some moisture is essential. Mulch around the plant to help maintain a cool moist root run. Best grown in Tropical to sub Tropical climates zones, although it can be grown in warm temperate climates in a warm protected position. A specialist Gardenia fertiliser in spring will help with flowering and growth. Pruning is generally not required. Grow this plant as a feature plant in a container or in the garden border. 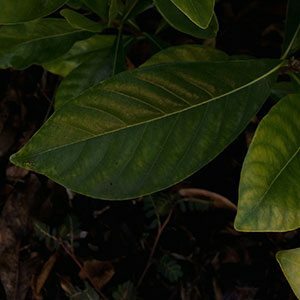 Use Gardenia vietnamensis as a low hedge with a planting distance of around 30 – 40 cm. This variety seems very attractive to butterflies. Height – To around 1 metre. Taller in ideal conditions. Climate – Best in tropical to sub tropical climate zones. Position – Full sun to part shade in warmer climates. Moisture – Best keep moist, although tolerant or seasonal dryish soils. Flowers – White fading to creamy yellow. Container growing – Yes, suited to pots and containers. Whats the real name of this plant ? Also known as Gardenia augusta ‘Vietnam’, although this is not correct. The plant seems in fact to be more correctly named Kailarsenia vietnamensis, or maybe a form of Kailarsenia lineata. A form named Gardenia vietnamensis ‘Forever More’ is occasionally seen.